Back by popular demand, the Eye Contour Brush is one of our Makeup Artists' go-to tools. Featuring an angled brush head, it's designed to fit perfectly in the crease of the lid for precise and easy application. Adding a medium-dark shadow in your crease instantly gives your eyes flattering depth, and this brush makes it easy. The sharply angled head has a tapered point that lets you apply and blend shadows directly into the crease, while the flat edge of the brush hugs the lid for even application. 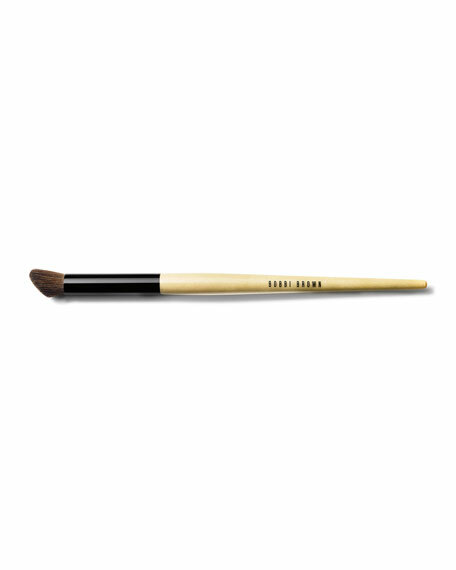 Use the Eye Contour Brush for applying and blending medium-dark shadows in the crease of the lid. For in-store inquiries, use sku #1931275.